What Was Your Childhood Monster? 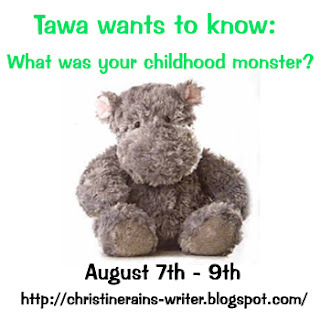 Blogfest is in honor of Tawa and the release of FEARLESS - by Christine Rains. :) All you have to do is talk about your childhood monster. Tucked in the corner of my room, behind the wooden door leading the walk in closet, cluttered with toys and fallen clothes, was a monster. Many nights were spent dreaming of this monster. It didn't have purple eyes or two horns or eat people. My monster was a "who" to be exactly. Absolutely terrifying!! 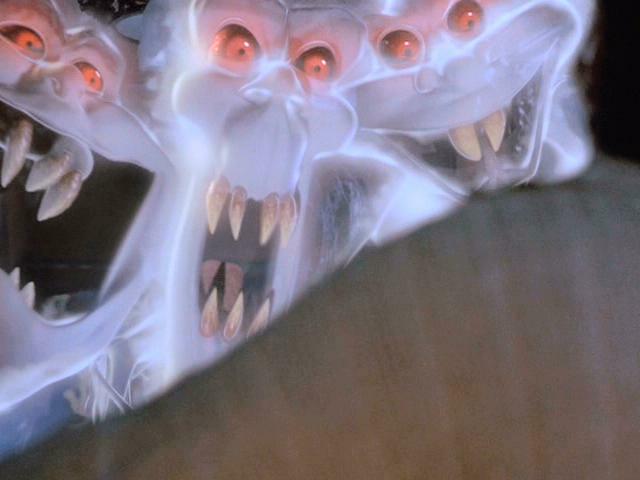 I couldn't watch Casper for years, until I admit, I was sixteen and they finally didn't give me nightmares anymore. I hate ghosts, though Casper is a little cute. I think they could scare any child. Did ghosts scare you as a child? Ghosts still scare me! I can't wait for the Ghost Walk in October...I have a love, hate relationship with them ;D! Oddly enough, no, ghosts don't bother me. But I can understand it, I'd the same fear with ET. I loved Casper *the friendly ghost*. I have an "antique" (ahem) coloring book my grandma gave to me and colored pictures with me. When she passed away, it became one of my most cherished keepsake. I just bought Casper for my son, who deliciously loves scary things. He hasn't watched it yet. UUUUUGGGGGHHHH! I just googled the book that I wanted to reference and am creeped out all over again! OK, so for what seems like a very long time, there was a book on the nightstand when I was a kid called The Ghost of Flight 401...spooky! Yet it never occurred to me to ask somebody to move their book. I've always loved ghost and poltergeist stories, and feature ghosts of ancestors and deceased characters sometimes in my writing (which otherwise isn't paranormal at all). The one movie that freaked me out as a kid was Cocoon, when the woman steps out of her skin. It freaked me out all over again at 12, when I was watching it with a teenage babysitter. Ghosts and ghost stories still scare me. Luckily, Casper, (or his brothers) wasn't one of them! A good old fashioned ghost story, told over a camp fire, is still a sure fire way to scare the pants off of me! Oh my god, they terrified me TOO! They were so scary!! I don't know why no one else saw that. Glad to hear I wasn't the only one. I never believed in ghosts, but my family had a few excellent ghost stories that got retold among us younger cousins during sleepovers with a flashlight under the bedcovers. As "savvy" as I was, after one of those sessions I couldn't even go to the bathroom alone, haha. Great post! I love writing about ghosts, but I can't ever say I was afraid of them. And yes, I can see how those ghosts scared you. They are freaky looking. Ghosts! I used to adore ghost stories (still do) even though they made me shiver at night. 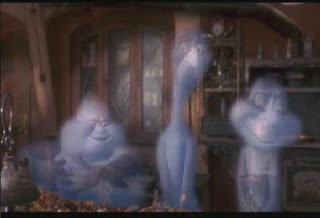 Oh, ghosts definitely scared me as a kid! Ha! Those guys are definitely scary - especially in that second pic. Eek! I love that show though. I was mostly afraid of FREDDY! I didn't even watch the show, but you see enough of him to know!